Fleas in houses are usually linked with a pet or a visiting cat or dog. Flea problems often occur when the host animal has been absent for a period of time, such as when the family goes on vacation, taking or boarding the family pet. Optimum Pest Control always provide our customers with a very detailed pest control treatment. We only use top quality products and have a high level of expertise. As a result, we are able to give you a 3-MONTH SERVICE WARRANTY for our residential Flea Treatments - Contact us to find out more. Fleas in houses are usually linked with a pet or a visiting cat or dog. Flea problems often occur when the host animal has been absent for a period of time, such as when the family goes on vacation, taking or boarding the pet. Fleas may also be driven into the house during prolonged periods of wet weather. Each species of flea has one or two kinds of animals it prefers, although when hungry, it will attack a wide variety of warm-blooded animals, including humans. Cat and dog fleas periodically jump on and off the host. When the host is removed for a period of time, they are left without food. Yes... Hungry adult fleas often attack on the first warm-blooded animal that comes in the door, often biting people around the ankles. In addition, vibrations promote emergence of new adults from pupae; walking across the floor will trigger emergence. Female fleas lay eggs, usually on the host. However, the eggs are not attached to the host, and soon fall off and develop on the ground or in the host's nest or resting place. Contact the experts at OPTIMUM, our experienced technicians use top quality products that get results. Treat your pet with a flea treatment at the same time as we do our flea treatment. You will get better results this way. DON'T WORRY, it is normal to see small black fleas AFTER the treatment, when the newly hatched flea comes into contact with the treatment left in the carpet the flea will die. 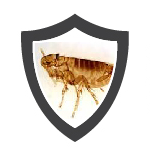 If you are still experiencing live fleas after 14 days give us a call and we will come and do a free service call. OPTIMUM domestic flea treatments come with our OPTIMUM 3-month service warranty. 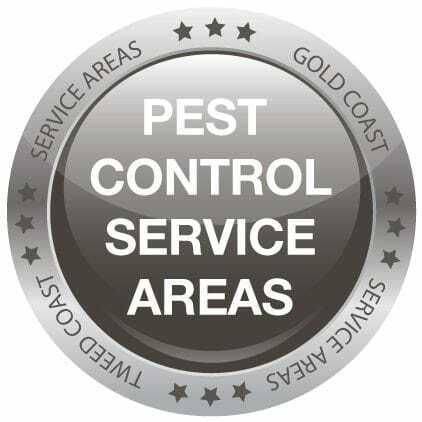 If you have any queries please Contact Optimum Pest Control today on (07) 5520 7171, specialising in Tweed & Gold Coast* pest control. CLICK HERE to download our free information sheet on Flea treatments. Have you ever wanted to know how our pest treatments work? Servicing the Tweed & Gold Coast*, book your Flea treatment with the professionals at Optimum Pest Control - with our great service warranty!